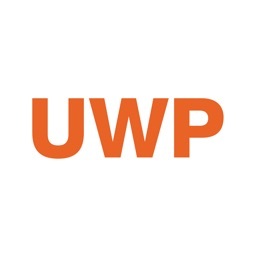 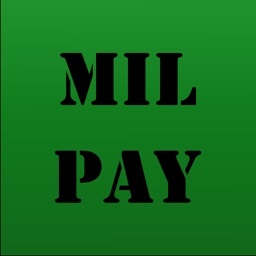 Easily calculates the expected retirement pay and Survivor Benefits Program (SBP) deductions for US military reserve and guard service members. 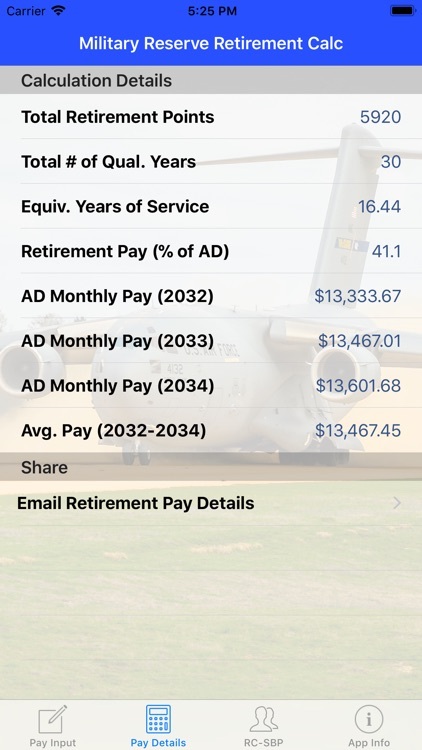 After the user inputs the relevant information, the monthly retirement pay for the first year of retirement is calculated and the SBP premium is determined and can be emailed with all details. 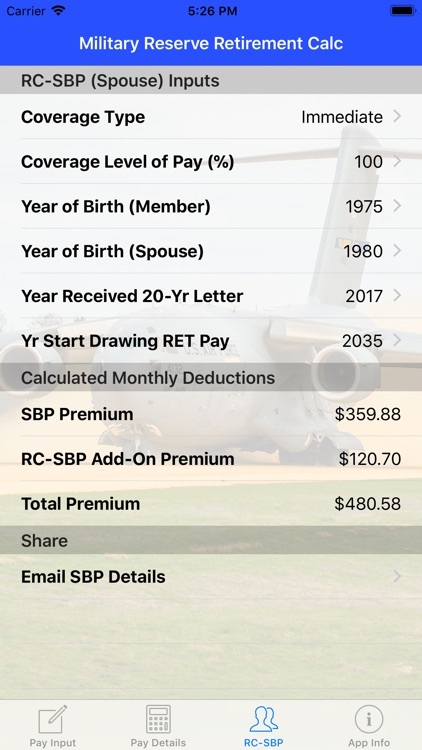 - App calculates the base SBP and RC-SBP premiums. 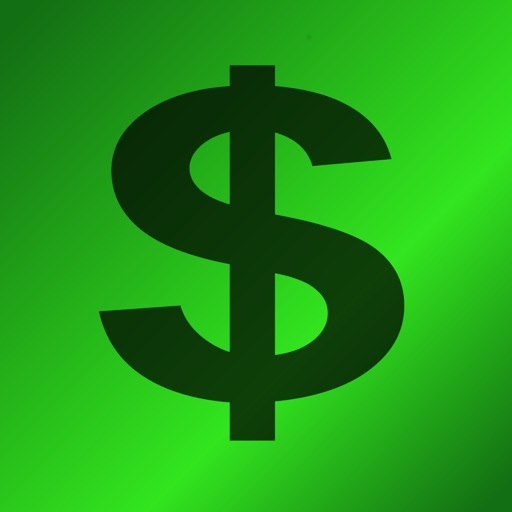 - There is a $300 minimum for SBP base amount. 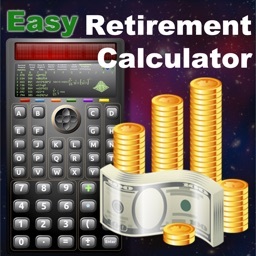 If you select a coverage level % which results in less than $300 of your retirement pay being the base amount, $300 will be used. 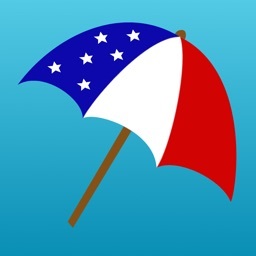 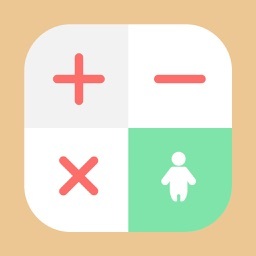 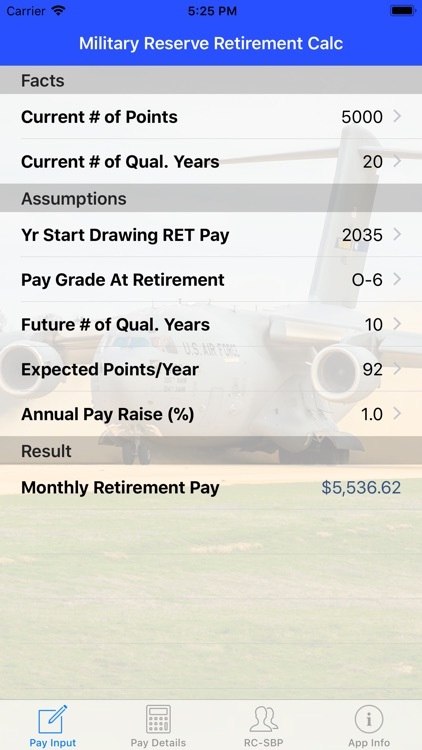 Note that currently this app DOES NOT calculate Blended Retirement System (BRS) potential benefits.